Did you know that five out of six people experience an ear infection before they turn three years old? This means the majority of the population has had a run-in with these often painful infections. While ear infections are especially common in infants and young children, they also impact adults, resulting in 30 million pediatrician visits and $2 billion in treatment cost for all those affected. 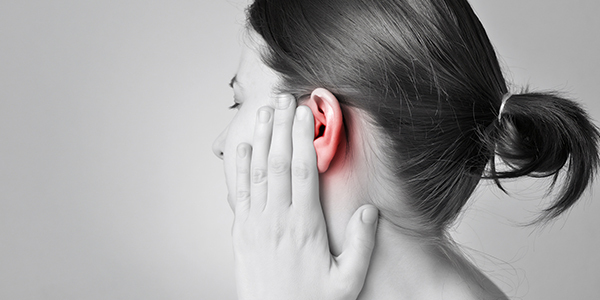 An unlucky selection of individuals experiences what is called recurring ear infections. As the name suggests, a recurring ear infection, unlike an acute ear infection, is when an individual experiences numerous infections back to back. Doctors have defined an ear infection to be recurring if it occurs three times in six months or four times within a year. Considering the commonality of the condition it's important to be aware of the causes, risks, and treatment options. An ear infection occurs when the middle ear becomes inflamed due to fluid build up behind the eardrum. The first step to getting you on the path to proper treatment is finding out what is triggering your recurrent ear infections. Some of the most common causes of ear infections are allergies, colds (bacterial and viral), excess mucus, infected or swollen adenoids, sinusitis, and of course smoking. 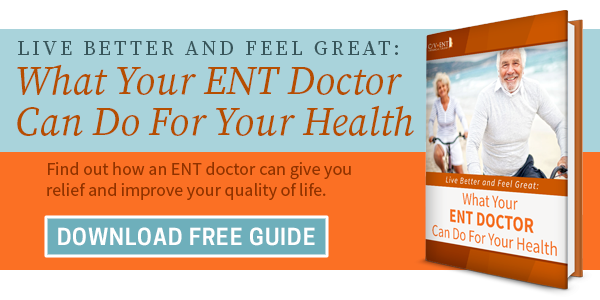 The Eustachian tubes, the passageways connecting your middle ear to your throat, can also be contributing to your discomfort if they are blocked, swollen, or underdeveloped. Allergies are triggered by an immune system response to a foreign body that it deems harmful (although it typically isn't). Common allergens are dust, pet dander, pollen, and fish as well as many other foods. Allergies come with a variety of symptoms including varying degrees of congestion and inflammation of the auditory tube, nasal passageways, and sinuses. The consistent congestion and swelling are what trigger the ear infection. Since allergies are a long-lasting condition, it's easy to see why those with allergies are more susceptible to recurring ear infections. Sinusitis is the inflammation of the tissue lining the sinuses and is typically caused by an infection, nasal polyps, or even a deviated septum. In the instance of an infection, the bacteria can quickly spread, wreaking havoc on the other parts of the ear. 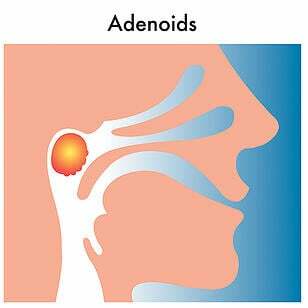 Adenoids are the lymphatic tissue located between the back of the nose and the throat. Due to their anatomical placement, enlarged adenoids can make it difficult to breathe as well as block the Eustachian tubes. Obstructed Eustachian tubes are a root cause of ear infections and chances are if you have enlarged adenoids you have frequent ear infections as a symptom. If you suffer from frequent throat infections, you are at greater risks for developing enlarged adenoids. Some individuals are also born with them. Very young children are prone to ear infections because their Eustachian tubes are more likely to cause issues due to underdevelopment are functional issues. This leads to a negative pressure that results in fluid buildup and you guessed it, recurrent ear infections. If you experience recurring ear infections and are a smoker or exposed to smoke often, cigarettes may be to blame. The moment you inhale tobacco you are introducing a host of foreign bodies such as ammonia and formaldehyde into your system. These harmful "ingredients" irritate your airways and trigger excess mucus production in your nose and sinuses. The internal changes create an environment where you become more susceptible to allergies, colds, chronic sinusitis, and of course cancer. Smoking is a health hazard that has many negative impacts on the body, recurring ear infections and the associated triggers are just a few. As you can see what may seem like just a run-of-the-mill ear infection, especially for those who get them often, is anything but. Ignoring symptoms and signs, and delaying treatment can lead to issues far worse than the discomfort and pain caused by the standard ear infection. If you've experienced more than three ear infections in the last six months or are experiencing other troubling symptoms, you should seek medical attention. Thankfully there are a host of treatment options available which will differ based on the cause of your condition. When the cause of your infection is bacteria, oral antibiotics and eardrops can be prescribed to help clear the infection. The antibiotic eardrops are especially helpful when the eardrum has been perforated. The conjugate pneumococcal vaccine is effective against a handful of strains that are responsible for ear infections. If your ear infection is viral, antibiotics won't help. To battle the symptoms you can utilize warm compresses on the ear and OTC pain relievers to make you more comfortable while your body fights off the virus. In some cases, your specialist may recommend surgery. This surgery is known as a bilateral myringotomy. The surgeon creates a small hole in the eardrum and then connects the middle ear to the outer ear to allow fluid to drain. The surgery has been shown to reduce both the frequency and the severity of ear infections as well as their troubling symptoms. In more severe cases, additional surgery may be required to repair bones that were damaged by the recurring infection. 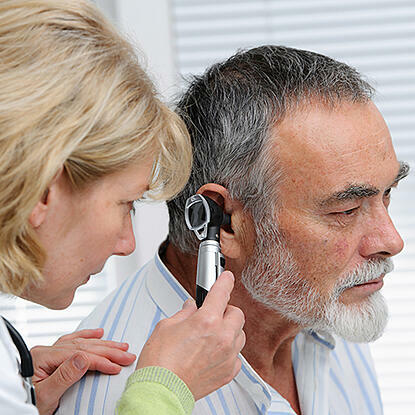 To figure out the best course of action for your recurring ear infections you must first speak with an ENT specialist to help narrow down the possible triggers. Once they've been discovered the ideal treatment can be selected, and you will be able to begin the road to recovery.